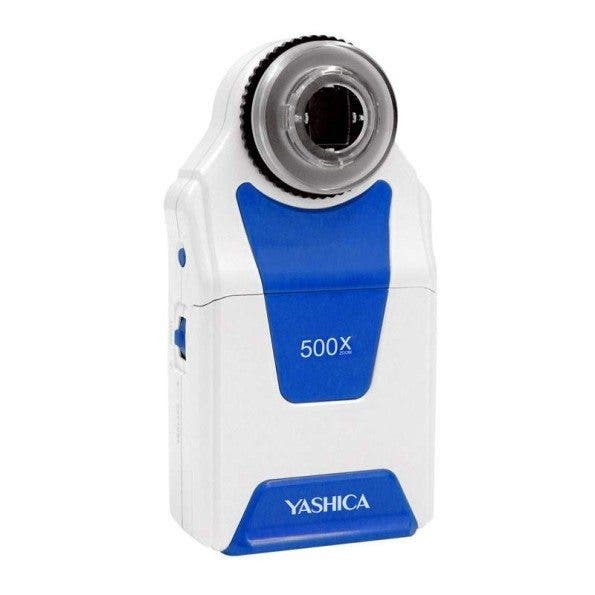 If you search for the name Yashica on our blog, old film cameras come up . When I saw the news that Yashica is still making cameras, I was in shock. At least, the name is still being used. The latest camera is a palm-sized digital microscope. This particular camera was recently released by SAMURAI MARKETING INC. It has a 2.7 inch monitor, a 5MP sensor, a 5mm -50mm focal length and built-in LED lights. This new camera has a 500x zoom capability and is meant for a niche market.